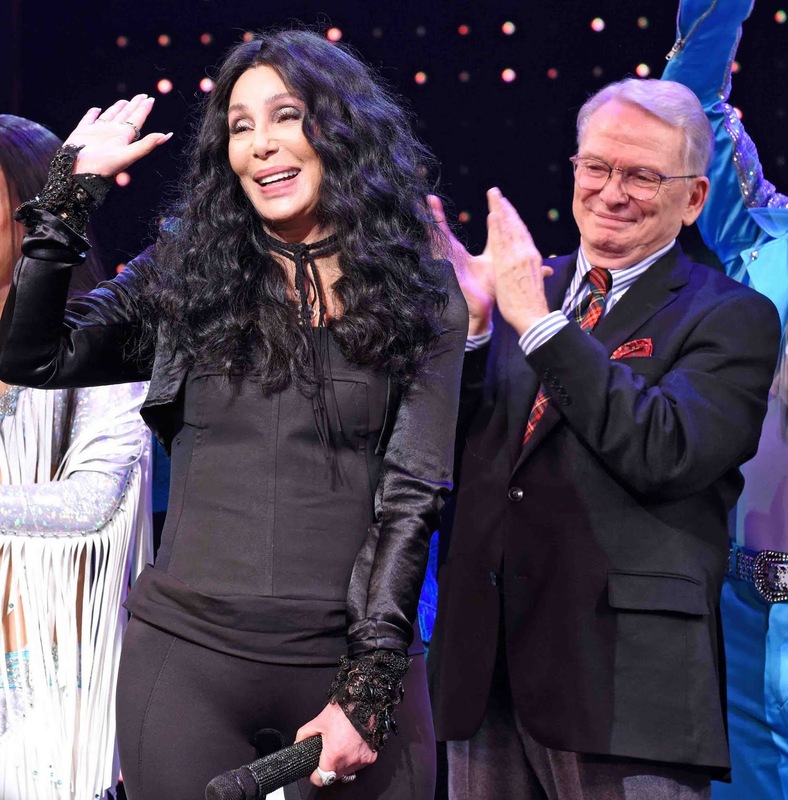 BROADWAY NYC -- Cher performed onstage with the cast of "The Cher Show" at "The Cher Show" Broadway Opening Night at the Neil Simon Theatre in New York City the other evening. The Cher Show stars Tony Award nominee Stephanie J. Block (Falsettos, The Mystery of Edwin Drood), Teal Wicks (Wicked, Finding Neverland), and Micaela Diamond (Broadway debut) in the role of the iconic singer and actress at various times in her life and career. They are joined by Tony Award nominee Jarrod Spector (Beautiful, Jersey Boys) as Sonny Bono, Tony Award nominee Michael Berresse (Kiss Me, Kate; A Chorus Line) as Bob Mackie, Michael Campayno (Wicked) as Rob Camilletti, Matthew Hydzik (West Side Story, Side Show) as Gregg Allman, Tony Award nominee Emily Skinner (Prince of Broadway, Side Show) as Georgia Holt, and Dee Roscioli (Wicked, Fiddler on the Roof) as the Standby for Star and Lady. The new musical is produced by Cher, Flody Suarez (What’s New Pussycat) and four-time Tony Award-winner Jeffrey Seller (Hamilton). Tickets for The Cher Show are currently available at www.TheCherShowBroadway.com or www.Ticketmaster.com (877-250-2929). Ticket prices range from $59 - $169. Premium tickets range from $199 - $299.